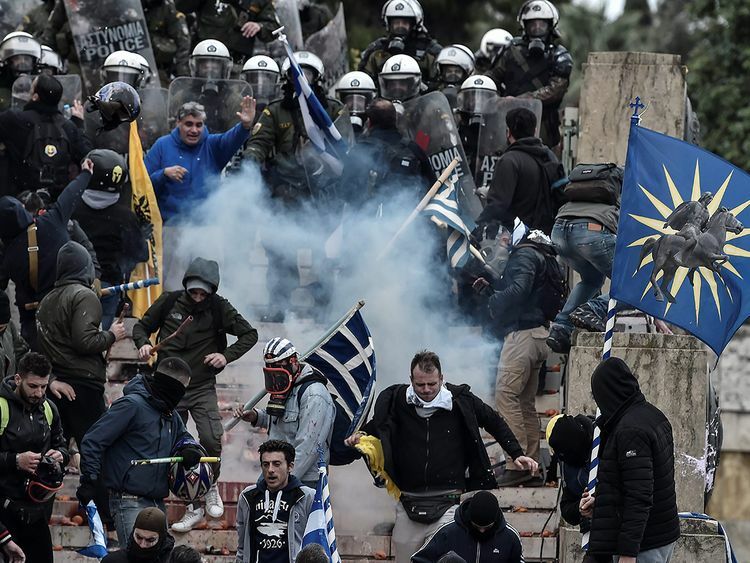 Athens: Clashes broke out between police and a group of masked protesters in Athens on Sunday as tens of thousands demonstrated against a name change deal with neighbouring Macedonia that the Greek parliament is due to ratify in days. Macedonia’s parliament approved a constitutional revision to change the country’s name 10 days ago. But for the deal between the two leaders to go through, the change must also be approved by Greek lawmakers.